So writing this blog was supposed to be an outlet for my voice – it still is – but I’ve noticed lately that I’ve become caught up in the numbers game. My desire to do well so I can help people on a bigger scale has overshadowed my ultimate purpose. I’m pushing away my desire by living totally in it rather than letting it flow. I’m so concerned about getting things ‘right’ that I forget my authenticity and my originality. When I started this blog I was ecstatic if I got one view (it was super exciting! ), and then I had a day where my view count sky rocketed. Literally I was so surprised, but it was awesome. It was also a reminder that my happiness was still dependent on external sources. But at least now I have an awareness of that because that means I can change it. I don’t want to be a numbers person. Sure, a few hundred people may have read my posts, but did they get anything from it? Did they even really read it? Did it help them? I like results in the shape of a smile, in the form of a hug, not in numbers. I’ve never liked numbers anyway. They go waaay over my head. So far over my head that they turn into the letter ‘F’ in exams. I’ve realised that I need to ground myself and take some time to reflect and remember why I started this blog. And I started it to speak my voice regardless of view counts and regardless of what anyone else thought. It was an inner literary sanctuary where I could voice my positive beliefs and spread some joy and happiness across the blogging community. It sounds naïve doesn’t it? Oh well!! Naivety or positivity that’s just who I am. I choose happiness to be at the centre of my life. 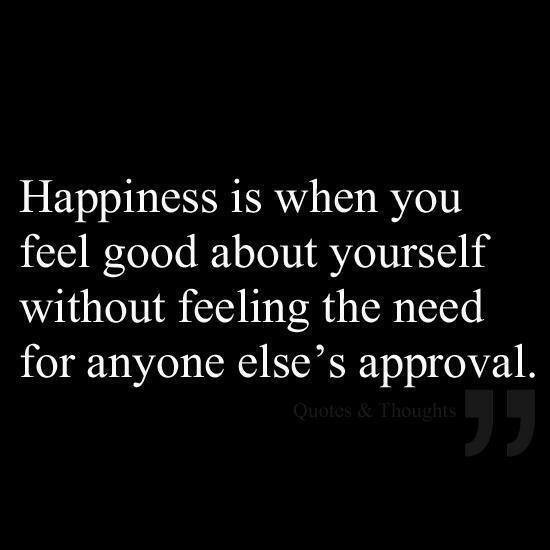 Who doesn’t like being happy right? Obviously I want to increase traffic to my blog, but that’s not going to happen when I want numbers for numbers sake. That isn’t what’s important to me. It’s important to my ego, but not to my higher-self. My higher-self knows that when I re-enter the state of peace and authenticity that I am, then the right platform will come for me to speak to bigger audiences and help more people. If I’m lying to myself about my current motives then how can I expect my true self to really shine through? Believe it or not I’ve only had the blog a month and I’m already having ego battles about it! My problem is that I like to do really well at something really quickly. I hate the in-between bit. I was one of those people who hated learning how to drive because I already wanted to be zooming about driving by my own rules. DON’T FORCE ANYTHING!! – This is a big one for me the past couple of weeks. I’ve been trying so hard to let go, go with the flow, be patient, and be myself that I lost myself in all the trying. Waaaaah, life lessons. I’m getting there. It’s hard, but I give it my best shot everyday. If I can help one person then I know I’m following my true purpose. I love this. We write to share and we write to inspire…and we quantify that with all the stats. This is a beautiful reminder, relative as it may be. I can tell you one thing…you don’t have to worry about your readers because I know whoever is reading your blog feels your passion and hears your message. Keep on shining your own light, and it will leak all over!